Superdry men's Malibu stripe pocket t-shirt from the Orange Label range. 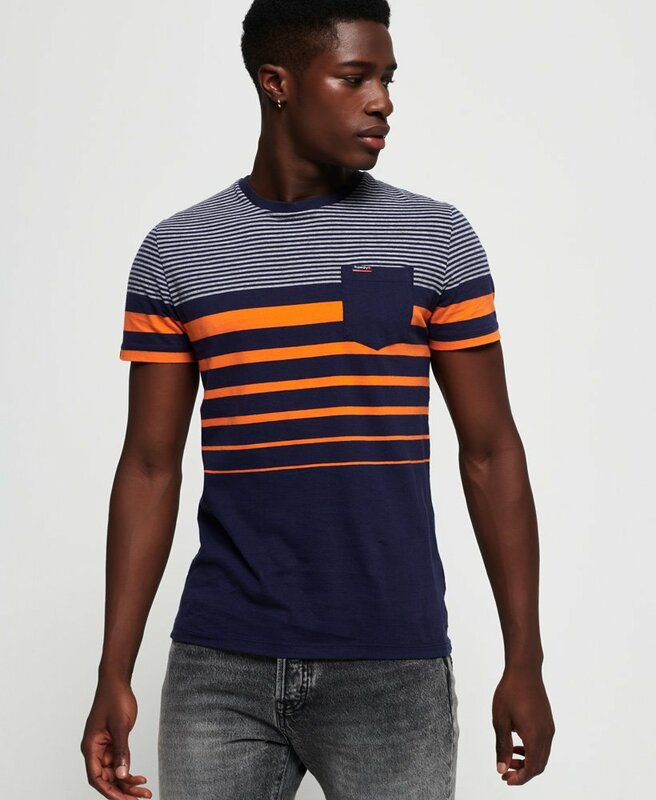 This crew neck t-shirt features a stripe design throughout and a chest pocket. The t-shirt is completed with a Superdry logo tab on the sleeve and pocket. Style this tee with skinny jeans and a zip hoodie for a casual look.